What does the future hold for Microsoft’s business model? With the technology industry shifting away from traditional software licensing, what is the future for Microsoft as tech top dog? In Microsoft's 36-year history, Windows has been the key sales driver for the IT giant. But with the technology industry shifting away from traditional software licensing, what is the future for the tech top dog? Jenny Williams investigates. Sales of Microsoft's Windows operating system (OS) made up almost half of the software giant's operating income in the last fiscal year. But with Chitika research figures showing Windows's share of the PC operating systems market is shrinking - and as PC sales give way to smartphone and tablet devices - Microsoft faces new and testing challenges. In the company's latest financial results, Windows sales totalled $4.9bn, an increase of only 2% over the prior period. Microsoft said this was in line with the PC market. However, the PC refresh cycle has driven enterprise Windows 7 migrations. Microsoft said in July 2011 it had sold 400 million Windows 7 licences since 2009. Gartner figures show Windows 7 will account for 42% of PC operating systems by the end of 2011, with 94% (635 million) of new PCs being shipped with Windows 7 this year. Despite Microsoft's continued grip on the PC market, analyst firm Canalys reported Wintel (Windows and Intel) PC market share fell to its lowest point in more than 20 years in July 2011. "With a continued decline in market share, Microsoft is rapidly losing its ability to control standards and is no longer the main source of innovation within the PC market," says Canalys analyst Tim Coulling. Other analysts believe companies are delaying Windows 7 migrations due to complications in using other new technologies with the updated OS. Forrester analyst Duncan Jones says VMware's new ThinApp product could breach the Microsoft Windows 7 licence agreement. VMware promotes the ability to extend legacy application, such as Internet Explorer 6, using Windows 7 support, he says. But Microsoft maintains that running multiple versions of Windows is unlicensed. "I'm disappointed that Microsoft is blocking a VMware solution to a problem that will delay Windows 7 adoption," says Jones. "The bottom line is, you may reluctantly have to ban use of a virtualisation solution such as ThinApp unless you are willing to accept a compliance risk," he adds. Some organisations are also finding it difficult to make a case for desktop virtualisation deployments because of Microsoft Windows licensing issues. 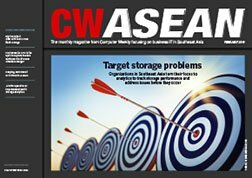 Peter Swingewood, deputy head of information services at Cass Business School, says it is impossible to consider deploying desktop virtualisation, despite the benefits in providing some students with virtual desktops to access specialised applications, because of Microsoft licensing issues. "Microsoft has a view on licensing, which is different to other suppliers, because it's using Windows OS underneath and there is an extra licence cost involved," says Swingewood. "If we did desktop virtualisation, we would have to license every single screen twice with a copy of Windows," he adds. "That's ridiculous, we can't afford that." As organisations are increasingly frustrated with licensing limitations, analysts predict the company may have to change how it licenses upcoming Windows 8. While Microsoft is readying the launch of tablet devices running Windows 8 in 2012, it may struggle to persuade manufacturers to opt for a licensed mobile OS, like Windows 8, rather than use a free platform, such as Google's Android. Although internet reports suggest Microsoft will generate $144m this year collecting cross-licence patent fees from OEMs running Android, Google claims such measures are anti-competitive. Microsoft may also fail to keep developers interested in its OS. Changes to the Windows 8 Metro-style user interface, which is built of Windows Runtime (WinRT) APIs, will disrupt Microsoft's developer community through the lack of full compatibility in the SDK with .net or Silverlight for desktop windows. Michael Azoff, Ovum principal analyst, says this will create a lot of uncertainty for developers, especially with WinRT's HTML 5.0 offering being a "lock-in" version, similar to Apple's approach to development. "This strategy is high risk for Microsoft and leaves its developer community with some difficult decisions to make," he says. Changes in the PC market have also led some analyst firms, such as Canalys, to include tablet sales alongside PC sales. This has led to Apple being named the number one PC operating system supplier in July 2011 - not Microsoft. According to Computer Weekly's sister title, SearchEnterpriseDesktop, licensing rules will also impact costs for the full Microsoft Office desktop application suite on tablet devices. SearchEnterpriseDesktop says the Microsoft licence needed to use a tablet with Office in a work environment will probably cost more than the tablet itself. "Microsoft can't afford the rise of a cheap or free web product capable of replacing its $18bn-per-year Office business," says SearchEnterpriseDesktop. In a bid to reinforce its legacy of Windows Office, Microsoft halved its licence fees for schools in January 2011. Clive Longbottom, founder of analyst firm Quocirca, says the decision was a pragmatic move by Microsoft not to lose its position in the market. "Three years ago, 97% of all desktops used Microsoft; now that figure will drop below 90%. This is a deliberate move to get students hooked on Microsoft technologies," he says. Microsoft says it is trying to move its business model towards services rather than software. At Microsoft's Worldwide Partner Conference in July 2011, Ballmer told partners that embracing the cloud "is going to be one of the most beneficial transitions for all users of information technology around the planet. It's disruptive technologically. We're redoing things in our business model - you're going to have to continue to re-map and re-skill and retrain yourself for this new world." Microsoft also launched cloud-based Microsoft Office 365 in June 2011 to try to coax customers to stick with its Office suite. With pricing ranging from $6 to $27 per user per month (plus Office Professional Plus at $12 to $15 per user per month), Office 365 is aimed at smaller businesses. Microsoft's cloud-based offering could have been too little too late to appeal to larger organisations. Companies such as Guardian News & Media (GNM) are ditching Microsoft to use other cloud-based applications, such as Google Apps. GNM also deployed a dozen Google Chromebooks in October 2011 to extend its web-based desktop. Google Apps for Business prices start from $5 per user per month or $50 per user for a year. Even the government is looking at using Google Apps over Microsoft's Office suite. The government's digital services department has rolled out Google Apps on a fleet of new laptops. Microsoft CEO Steve Ballmer admits the company was also late to market with its mobile OS, Windows Phone 7. The late offering led analysts to predict Windows Phone 7 will fail to increase Microsoft's share in the smartphone market, with Nokia's Symbian and Google's Android OS dominating the worldwide mobile OS market by 2014, according to Gartner. The research firm forecasts that open source platforms will dominate, accounting for over 60% of the market for smartphones in 2010, with Android becoming the top OS in the US by the end of 2011. Gartner ranks Windows Phone behind Symbian, Android, Apple's iOS, RIM's Blackberry and Linux-based MeeGo in its 2014 OS ranking forecast - a drop from fifth place in 2010. "The market is consolidating around three or four platforms - and Microsoft is not one of those," says Gartner analyst Roberta Cozza. After Microsoft teamed up with Nokia in February 2011, Gartner and IDC figures show Windows Phone 7 will increase market share to 20% by 2015. But Microsoft will still fall behind Apple and Google. Ovum analyst Roy Illsey says Microsoft has had the bedrock of Windows to fall back on, but now its margins and cash reserves have shrunk, forcing Microsoft to look for new revenue streams. "Microsoft won't be the primadonna it once was. It has been the top dog for a period of time. That's ended. It is a Google and Facebook landscape now," he says. Illsey says Microsoft has latched on to platform-as-a-service (PaaS) as the next operating system. "Whether or not it is on-premise, the sustainability of Windows will depend on Microsoft bowing to pressure to shift to different models. It is going to have to change, but it's delaying announcement of desktop-as-a-service (DaaS)." In an interview with the BBC's Jeremy Paxman in 1999, Microsoft founder Bill Gates accepted his company would be replaced in the future as new companies overtook in terms of industry innovation. While Microsoft has been working to extend its portfolio in the mobile operating system market and with its cloud-based Office suite, it is only a matter of time before more customers start looking seriously about casting off the shackles of the traditional software, client access licensing. 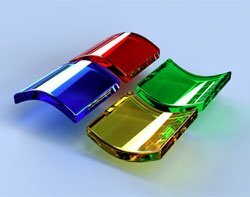 Microsoft must react to new lower-cost productivity offerings in the market being chosen by businesses, such as Google's subscription-based service, as well as free, advertising-supported mobile and desktop applications, tools and software, including OpenOffice.org. If Microsoft fails to adapt to a new landscape of free web apps, public application programming interfaces (APIs) and government open data, the company is set to finally fall behind younger industry players with a greater pace of innovation. It remains to be seen how the IT giant will change its business model to ensure another 36 years in the industry. "NetSuite OneWorld was the solution we felt could scale with the international growth we are experiencing at Zumba Fitness," said Roberto Moreno, Chief Financial Officer for Zumba Fitness . "By eliminating our tangled, underpowered applications and moving to the NetSuite cloud, we are well positioned for growth in the years to come."